How can a parent-child restaurant open to make money? 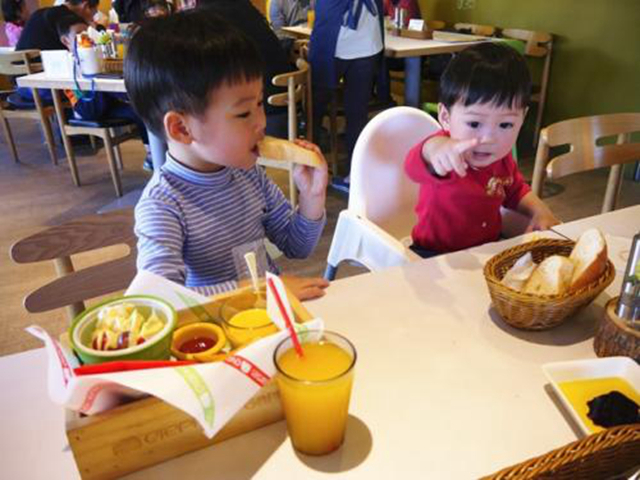 Children's money is best earned, but in the past two years, there have been parent-child restaurants everywhere, the decoration is fresh and lovely, and the variety of Kawaii is eaten, which is very popular among children. However, did they make money? Taste the food and pay attention to the ritual.The atmosphere of the restaurant,It is the beauty of the details that melts into the table and chairs.Let the touch of exquisite and delicate,It just echoes the color and flavor of the dish.The ritual of eating is born. Student restaurant furniture. The semi-private dining space next to the bar is separated by a silk screen. The embroidery on the silk and the hand-painted black and white pen and ink are intertwined into a light bamboo forest, which makes people feel like poetry and painting in the oriental sense. Today, the restaurant furniture will take you to know. Hot pot restaurant tables and chairs induction cooker table professional manufacturer, hot pot table induction cooker drip does not heat, guests waiting to eat hot pot, is it very anxious? Kindergarten canteens, schools, units, factories, etc. have canteens, the number of canteens is very large, must provide comfortable dining tables and chairs for people who eat, will worry about size when buying, canteen dining table and chairs What is the size? A leisure chair is a chair that we usually enjoy in our leisure time. This chair is not as formal as a dining chair and an office chair. It has a small personality that gives both visual and physical comfort. The table top of the fast food table and chair is divided into a fireproof board surface, a melamine board surface, a glass steel plate surface, a tempered glass board surface, and a marble board surface. Restaurant tables and chairs are customized, restaurant furniture has developed to the present, not only a restaurant furniture we used when dining, but also a good table will bring us a very happy mood, so what are the restaurant homes? Hotel restaurant dining table and chair, hotel supporting functions should include: business center, conference room, restaurant, banquet hall, gym, swimming pool, supermarket, multi-purpose hall, medical office, logistics room and so on. The long western table is also popular in some restaurants and hotels. If you want to buy a long western table, do you know how to choose the right one? Let's introduce Xiaobian. Restaurant storefront decoration precautions. Coordination arrangements should be made during renovation. The decoration design of the restaurant includes the overall planning and design of the hotel, architectural design, interior and exterior landscape and garden design, interior decoration design, electromechanical and piping system design, logo system (VIS) design, traffic organization design, management and customer service process design, etc. Item content. To be able to manage the system. Western restaurant furniture is expensive, and choosing the right maintenance method can effectively extend the service life of western restaurant furniture, making the restaurant furniture more durable and attracting more customers to the western restaurant. Nowadays, stainless steel products have slowly entered our lives. At the same time, stainless steel dining tables and chairs will be seen everywhere in many food and beverage stores. The stainless steel material will change the image of cold and rigid, and the use of wood and glass will gradually merge with modern furniture. One. With a party time,Let the diners enjoy the sense of the ceremony. Panel furniture refers to disassembled modular furniture with wood-based panels as the main substrate and panel as the basic structure.